My perpetual quest of exploring and learning. Student for life ! I always wanted to dig deep into Cyber security and ethical hacking stuff and once had even installed a myriad of tools on my old laptop, but those days were different and I could not proceed beyond tinkering. 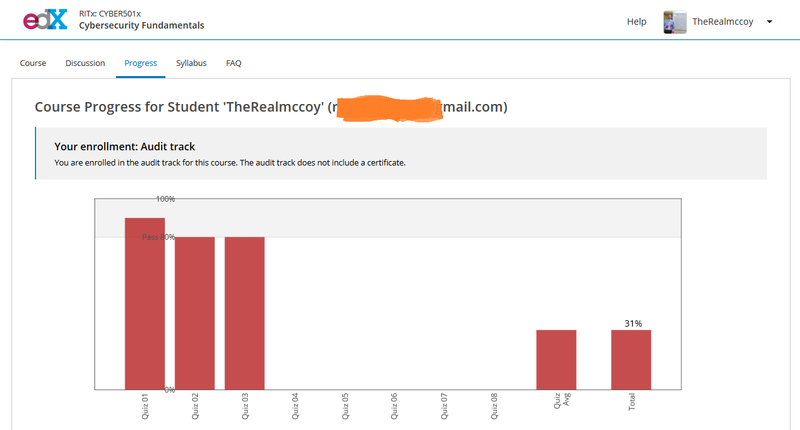 This year, I jsut have got opportunity to dig really deep with the CYBER501X course of Rochester Institute Of Technology in Cyber security. This course is part of specialisation on Cyber Security and is first of the four courses. I aim to finish all the four curses and finish the specialisation. So far the stuff has been introductory and not too tough, but with 4th and 5th week devoted to Networking, there is a lot of reading and work would be required. In fact, I have finished the lectures of Week 4, but have not attempted the quiz fully. I aim to review the lectures and then do it again. Not intending to do silly mistakes in Week 2 and 3, where I scored just 80%, which meant, I just passed those two weeks. All this due to the hurry. I am also putting up my notes on a course website which I created for myself. Only two weeks notes are there so far. 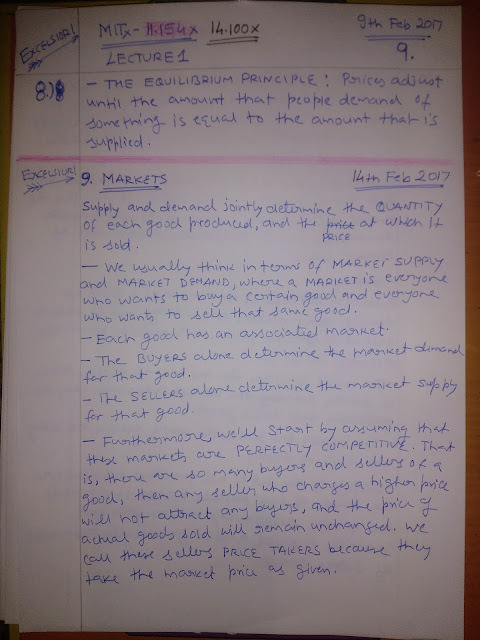 Lecture Notes from Lecture 1 of How to Start a Startup - CS183B of Stanford University - 2014. 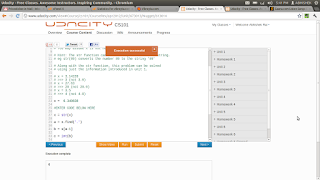 This is one of the other course that I am taking from Udacity. I had enrolled to this course, when it started for the first time, but could not keep up to the schedule and had to drop off. In Unit 1, I did decent. The score could have been better, had the last question I would have been able to answer correctly. The execution was always successful, but whenever I used to submit the code, I got the feedback that the input used is different, though I used to use the same input. I tried for about 5 times, but then gave it up. In the quizzes also, I could have done a bit better. I was sort of careless!